Gardner & Haney, P.C., was established in 1979 by Mark S. Gardner and Ronald M. Maupin, law school classmates. 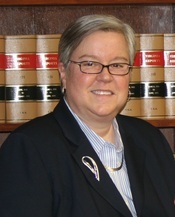 Beverly J. Haney joined the firm in 2002. Although we suffered the untimely passing of Ron Maupin in 2009, our firm has operated continuously since its founding, in offices located at Spotsylvania Courthouse, Virginia. Mr. Gardner and Ms. Haney and their six staff members serve clients throughout the Fredericksburg region. We represent and guide clients in the areas of: -Criminal Law -Traffic Violations -Condemnation Our attorneys are life-long residents of the Fredericksburg area, and we and our staff members have developed and nurtured ties to our communities spanning three generations. We value and depend on our professional reputations among both local citizens and the legal community. Gardner & Haney will represent your Criminal Defense legal matters. Attorney Mark S. Gardner has earned an AV Preeminent Peer Review Rating by Martindale-Hubbell, the highest recognition possible in the legal industry, for his professionalism and ethics. -Editor-in-Chief, University of Richmond Law Review, 1977-1978. -Law Clerk to Richard H. Poff, Justice of Virginia Supreme Court, 1978. -Faculty Member, Virginia State Bar Course on Professionalism, 2003-2006. -Commonwealth's Attorney, Spotsylvania County, 1980-1987. Attorney Beverly J. Haney is AV Preeminent Peer Review Rated by Martindale-Hubbell, the highest recognition possible in the legal industry, for her professionalism and ethics.